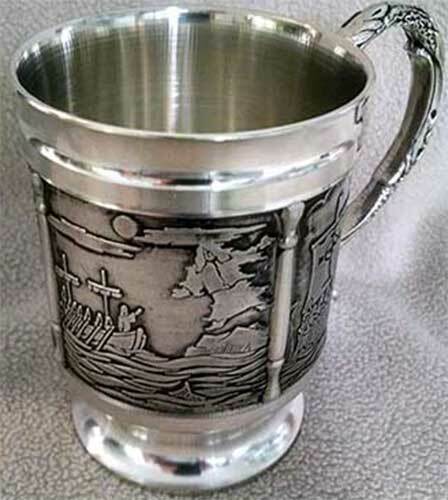 This Irish tankard features the voyage of St. Brendan the Navigator embossed on the pewter panels. 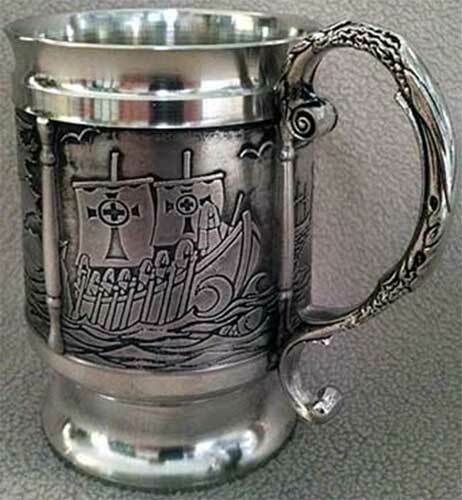 The pewter Irish tankard is further enhanced with an embellished handle. 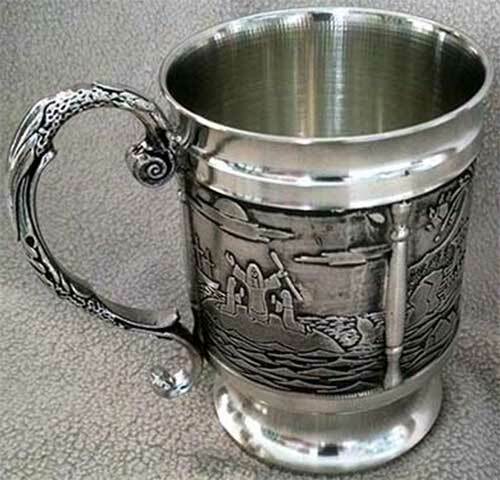 The St. Brendan tankard measures 3 1/4" wide at the rim x 4 1/2" tall; it holds 16 ounces. 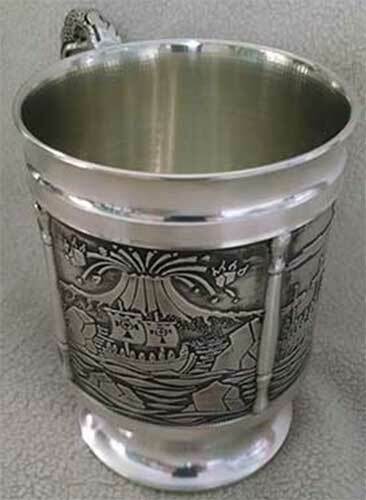 The Irish saint tankard is made in Ireland by Mullingar Pewter and it is gift boxed, complements of The Irish Gift House.